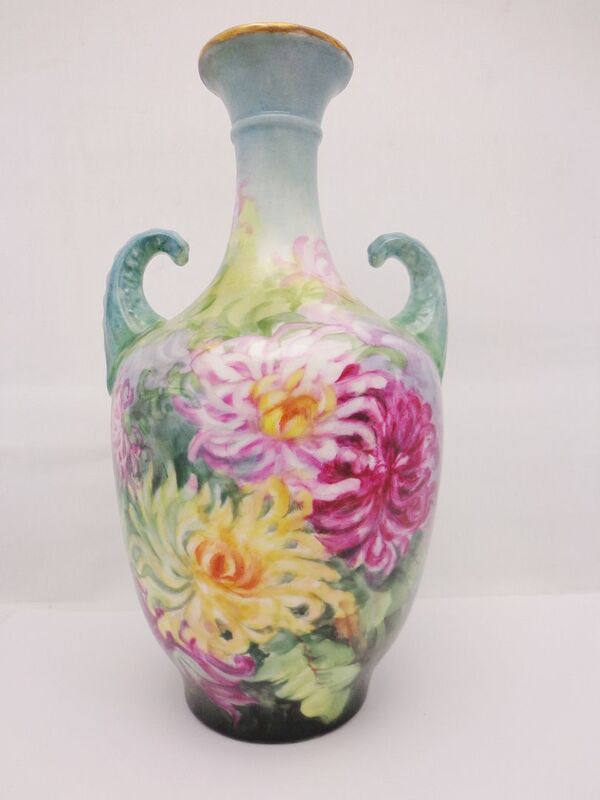 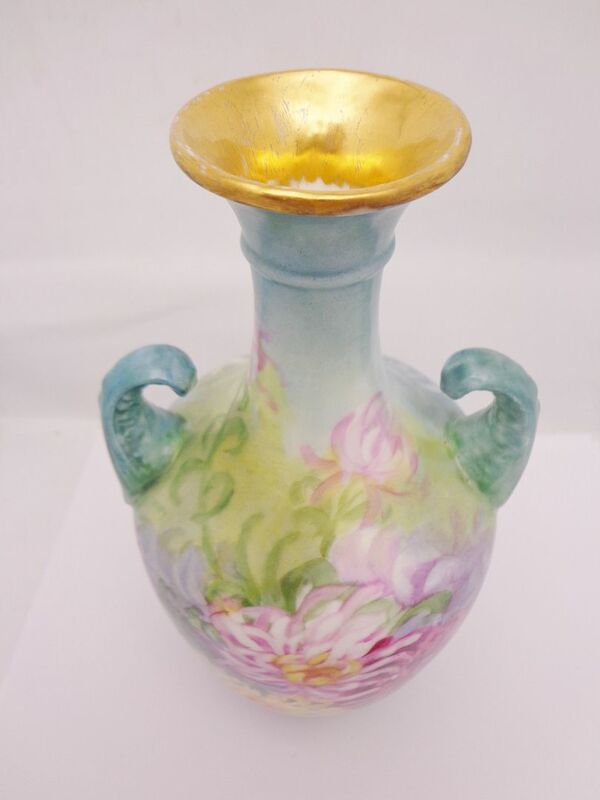 Antique circa 1900 JP French hand painted Limoge Vase. 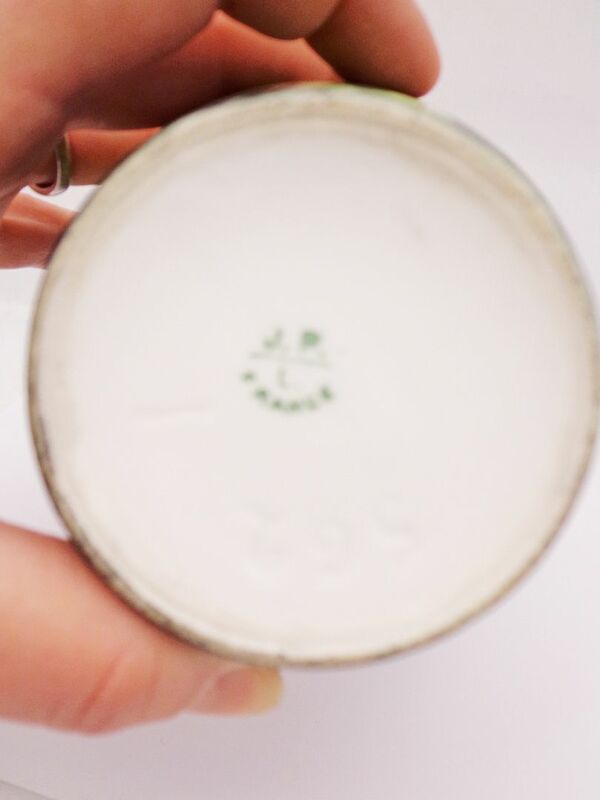 Marked'JPL'for the French maker (JEAN POUYAT)incised in the porcelain the number 562. 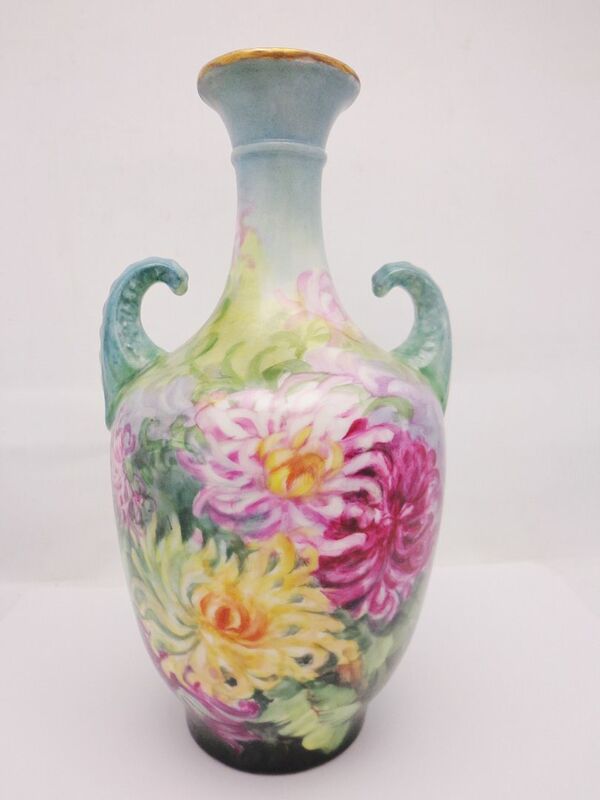 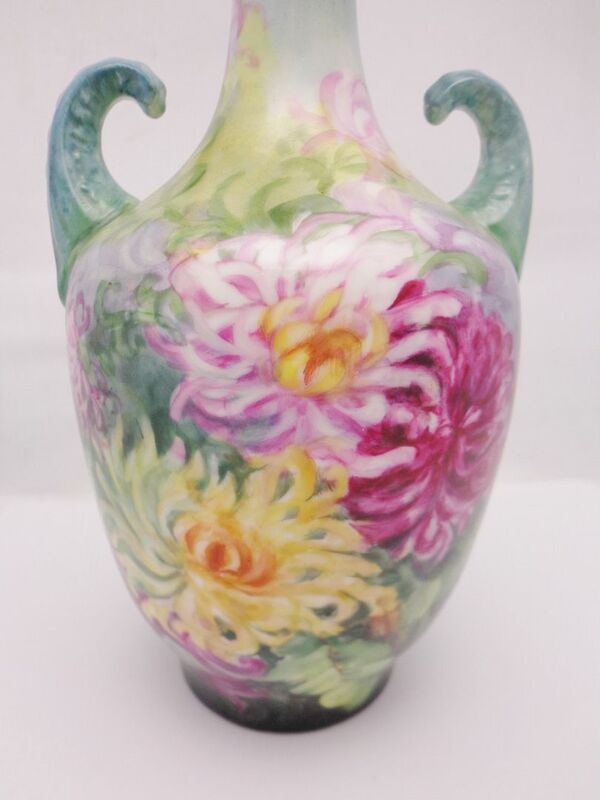 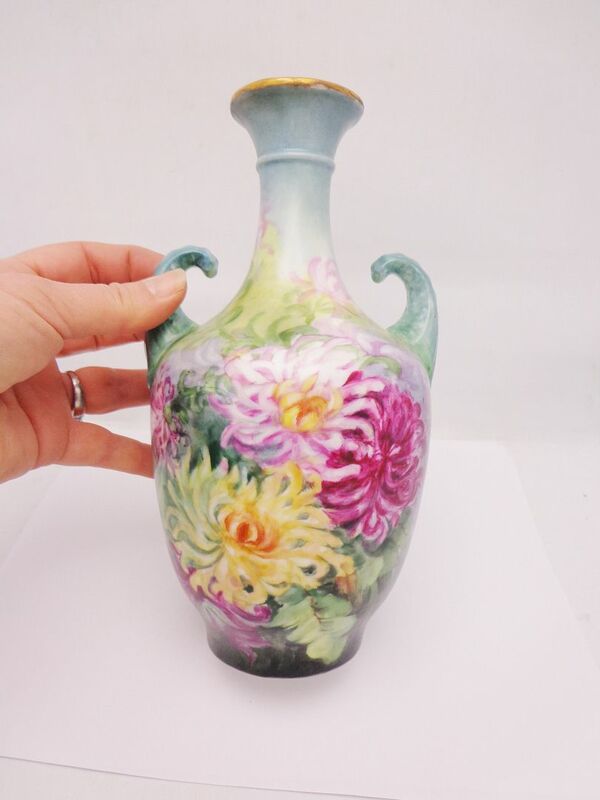 The vase is beautifully hand painted with Chrysanthemums on both sides. 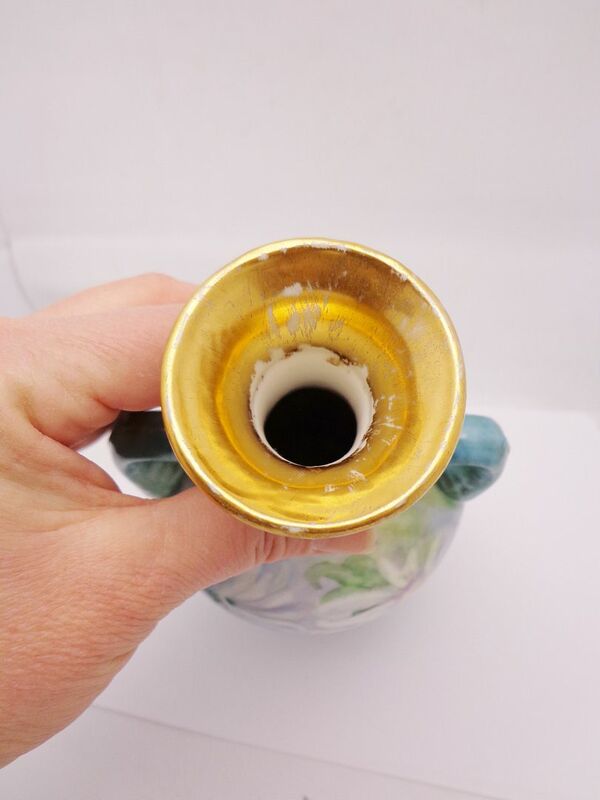 The piece stands 9" tall with 5" diameter and is 2 3/4" at the base. 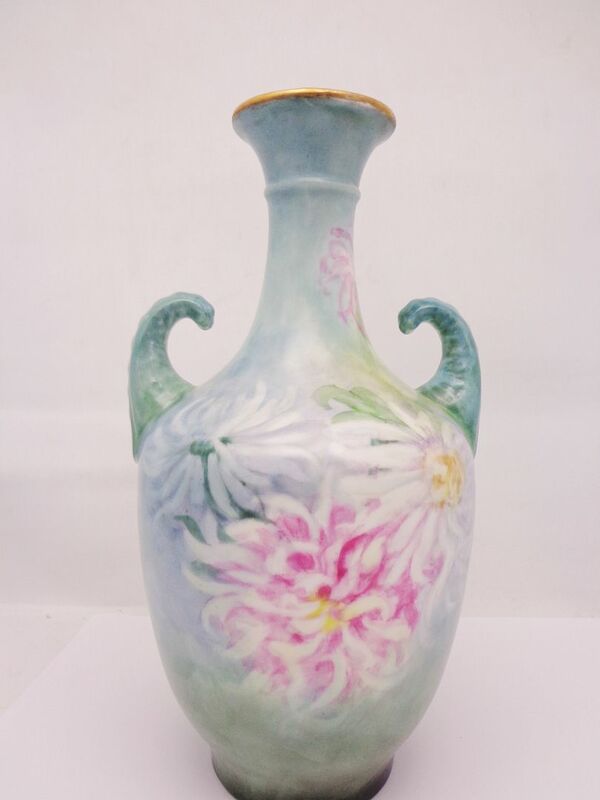 The vase is legal antique and without fault.